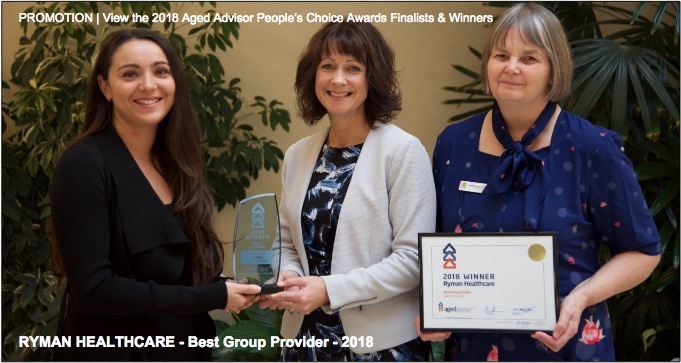 # 131 of 669 Aged Cares in New Zealand. 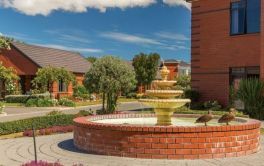 The Bupa site explains that Parklands on Papanui in Christchurch, New Zealand offers both Hospital and Specialist dementia care, alongside the Parklands on Papanui Retirement Village. It states that "Parklands enjoys a great location, close to all local amenities. 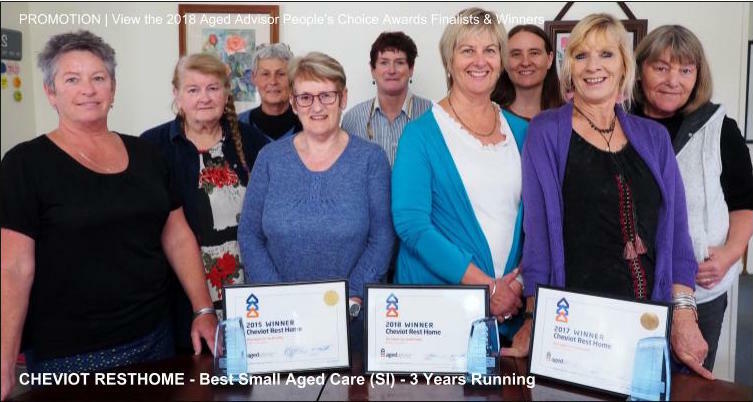 Our caring reputation extends to the surrounding communities of Papanui, Merivale, St Albans and Strowan." It says "We have beautiful sheltered gardens to relax in and have a chat. We have both single rooms and larger rooms that are perfect for couples, many of which have ensuites. This is your home and we want you to feel comfortable so we encourage you to bring some belongings with you to personalise your room." 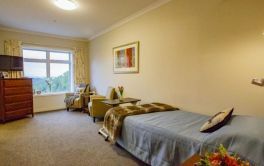 It also states that residents "enjoy frequent entertainment from local singers, guitarists, bagpipe players, theatre groups and a musical therapist who sings with the residents. Other activities include housie, exercises, music, movies, balloon volleyball, newspaper reading, word searches, hand massage and crafts. How much you want to get involved is up to you; your day is spent doing exactly what you want." The site adds "You can enjoy short walks around the old residential houses and gardens around us on sunny days. We also have regular van outings to places such as the beach or Horseshoe Lake, go duck feeding or plane spotting." × Have you visited this facility? Help others who are looking for a place by posting a review on Bupa Parklands Hospital or review a different facility now. I am concerned basic needs are often compromised when family are not advocating for their loved ones, Activities offered are rare mostly residents are put in front of the TV AND LEFT til the next meal for days on end There have been no van outings in the last two years my loved one has been in the care of ParKlands. The activities coordinator mostly makes displays for the walls during her time there and little engagement with resident.s. Hand washing as a basic procedure is not followed. A new facility manager is showing new innovative ideas for the betterment of both patients and family who visit. The atmosphere is more upbeat and more attention with a one on one nurse to patient being more prevalent. Better feeding regime when there are so many who need help with feeding. Would really like to see more physio which I feel currently is only token value to look good in the prospectus. Immobility cause immobility!!!!!!! I am impressed with the family meetings we now have which we have a good speaker and question time and time to mingle with the other visiting family members. I encourage the management to keep these up. Reasonably nice reception area and outdoor areas - although described as indoor outdoor flow but not really 'wheelchair accessible' - a tiny ramp that has been suggested by previous reviewer would be all it would take. This establishment could be so much more. There is one van that takes 3 residents and one walker. Once a week the van is supposed to go out on Tuesdays for three lucky residents with no mobility - sad part is there has been weeks on end of residents having no activities just sat in front of a Tv. What the web says they are offering is not a reality. Church services often cancelled - staff away so overloaded - unhappy residents - [appears to be] no back up plan. Walk the talk - this is not good. Please get a back up plan when staff away. Make it good for the residents so family are not left worried about their family. Sustain efforts. Excellent experiences with most frontline staff. Caring. Closeness of hospital to village is good. Tired of being told "leave it with us" by a manager and nothing happens. Response times on call bell would be anything from 2 - 20 minutes - that's too long if you need help going to the bathroom. [I found] overall facility management [to be] unresponsive (hopefully the new facility manager will change that). Only one van outing in over a year that my parents were there. Improve action and communication from the top down. Take onboard feedback you are given. Follow up on simple ideas like getting some ramps for the lounge ranch door sliders. Your audit says you have great indoor / outdoor flow - but your residents are stuck indoors all day because you wouldn't spend $100 on getting a simple ramp so that the couch chairs could be wheeled outside. Appreciate your staff more - eg. frontline staff put on a Christmas Show - no management came to watch or involved. Overall caring, kind, patient staff. Patients kept clean. No urine smell. Nursing procedure from carers not good. Not enough physio and mobility. Nurse/patient ratio for no. of mobile patients [appeared to be extremely] low. Too many immobile patients for caregiver/patient ratio. Not enough hoists per ward. Not enough physio. Nothing comes to mind, bearing in mind I am referring to something about 5 year ago. Everything, everyone we had dealings with was a positive experience (facility was not under BUPA at the time). [It seems many staff] have English as a 2nd language - [which I found] hard to understand. The full-time care units feel & look like a hospital. The rooms are small boxes and very few have their own toilet. Often the residents are left in the living room, waiting [EDIT], in their chairs, with very few activities being instigated or seemingly encouraged. No outside excursions/trips in the 18 months that I visited. Very little, if seemingly any, physiotherapy/rehabilitation exercises being offered. 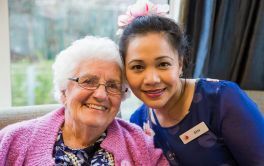 More activities, bbq's, trips outside/beyond the care facility. More physiotherapy for everyone. Encourage volunteers to pay the residents a visit. 3246 reviews over 599 facilities.